Firstly, can you tell me the history behind the Maya the Bee brand? 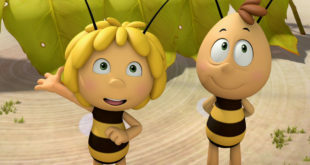 Maya the Bee, originally produced as a 2D series in 1975, is now a hit CGI animation extremely popular with pre-schoolers across the world. With the first series launching in 2012, we have seen families fall in love with Maya once again with over 160 territories broadcasting the programme to-date. How well has the Maya brand performed over the past 12 months? With the initial launch of Maya the Bee: Movie last October, the brand has been introduced to even more families at the cinema. Maya the Bee continues to be one of the leading brands in the pre-school market with a strong portfolio of merchandise supporting the series and movie. Fans are also currently able to tune into Netflix to watch the CGI series in the UK, US and Canada. How many licensees do you have on board and in which territories? In total, we have over 300 licensees on board covering all major categories including FMCG, toys, games, publishing, clothing and home entertainment. As a family brand, we see a multitude of licensing opportunities to further extend the Maya the Bee experience for fans. Maya the Bee has a huge range of branded merchandise crossing toys & games, apparel and an extensive FMCG programme including grocery and toiletry products. Publishing has also been extremely successful and allows fans to further engage with and enjoy the adventures of their favourite little bee. How well has Maya the Bee: Movie performed in the territories where it has been available? The film continues to be released on cinema screens with the arrival of the movie in major territories such as Latin America (Q4 2015), Nordics and the UK (October 2015). To date, the pre-school feature film has already been screened in 20 countries. The success of the movie has led to the release of the movie DVD in France and the US which is proving to be equally as popular. What should we look out for next for the movie? As it continues to roll-out, in the countries I’ve mentioned previously, we will be supporting the movie releases with extensive PR, marketing and social media campaign to raise awareness of the brand-especially in the territories where the brand has no heritage. Are you looking to extend the brand into new territories? If so, which ones are first on the target list? Our key focus for 2015/ 2016 will be to capitalise on the increased consumer awareness generated by the movie release and to extend the brand across the UK, Nordics, Latin America and the US. What has the reaction been like from retail to the brand? Retailers have been hugely supportive and with over 5000 Maya the Bee products to choose from there is a large range of merchandise available on retailer’s shelves for Maya fans to purchase. We have seen sales increase as more and more fans engage with Maya and want to learn more about her world. Our key objective within the newer territories such as the UK, Nordics and Latin America is to ensure that movie distributors, TV broadcasters, agents and licensees are working closely together to maximise brand visibility. We are also working with all our partners to develop a brand strategy which not only engages consumers in the short term but also ensures the longevity of the brand. 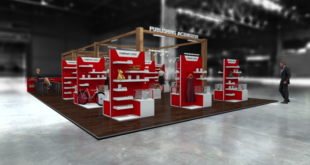 How important will Licensing Expo be for you? 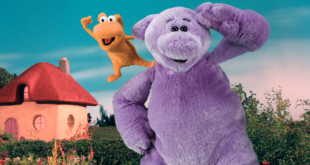 One of the aims for Studio 100 International is to partner with key retailers to ensure more product is available for Maya fans, old and new. We want to ensure that the upcoming movie releases are supported by a strong product range which communicates Maya the Bee’s key brand values. What would you most like to achieve with the brand by the end of the year? We are looking forward to a successful movie release later this year in the UK, Nordics and Latin America and are confident Maya the Bee will prove as popular in these territories as we have seen elsewhere. Our aim is to capture the hearts of audiences in these markets so Maya becomes a recognised and trusted brand amongst parents and grandparents. Maya is a priority within the international long term development strategy. We are pleased to announce that we are now working on the production of a Season 2 TV show to offer to broadcasters globally who have already experienced the popularity of Maya the Bee on their channels.